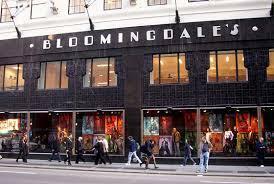 Bloomingdale’s is one of the most famous upscale, high-end, designer, fashion forward department stores located in New York City’s Upper East Side. This world renowned seven-floor department store carries everything anyone can desire. Bloomingdales contains creations from some of the most expensive designers in the world such as Theory, Louis Vuitton, and Cartier. It has added to its history and fame by being popularized and filmed in many Hollywood favorites such as Splash, Moscow On The Hudson, and many more.